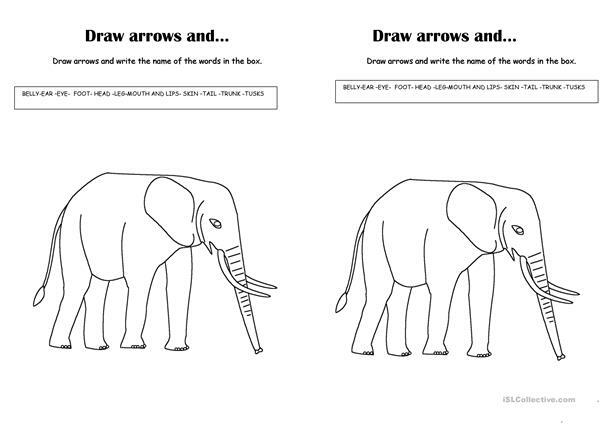 B&W ws.Studentes have to draw arrows and write the right part of the elephant.It's a review ws.Sts have studied about some animals .They can describe it to their classmates. 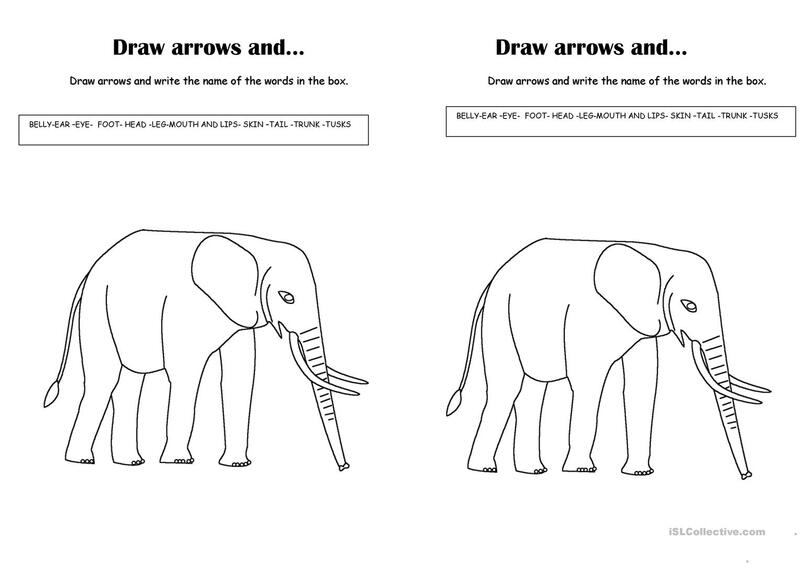 This downloadable worksheet was created for elementary school students and students with special educational needs, learning difficulties, e.g. dyslexia at Beginner (pre-A1) and Elementary (A1) level. It can be used for strengthening your pupils' Speaking and Writing skills.